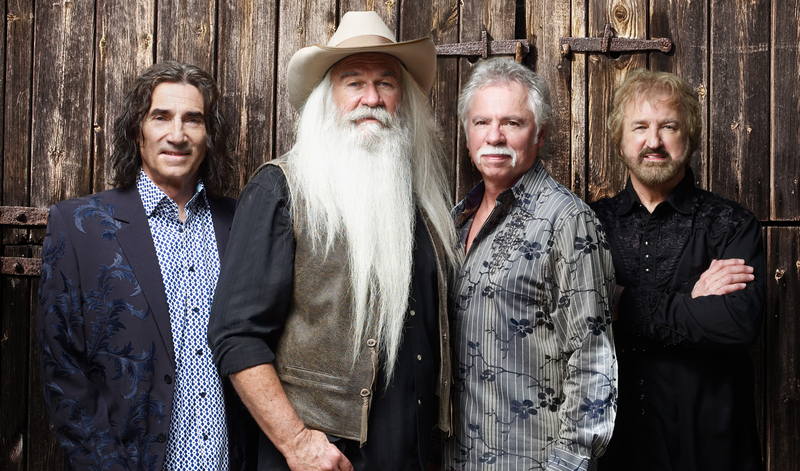 The Oak Ridge Boys were back at the Newberry Opera House on Sunday night. The sold-out crowd erupted when the Boys stepped onto the stage. They immediately went into “The Boys Are Back.” They were as sharp as ever. Sterban’s deep voice was used extensively during the cover of the White Stripes song “Seven Nation Army.” The Boys’ version could arguably be better than the original. At one point during the evening, Golden made his way to the side of the stage and touched a fan’s hand, while they were sitting in an orchestra box. Bonsall revealed that the Boys were recently interviewed for a Glen Campell documentary. They were asked to sing a song to sum up Campell’s battle with Alzheimer’s disease. And they sang “Farther Along” during filming and then again to the crowd in Newberry. Their four voices blended together to create one great harmonizing tone throughout the night. They then featured an intimate and very emotional performance by Bonsall, “Sacrifice…For Me.” It was a song about soldiers dying as a sacrifice to the American people. He even pointed out a family in the crowd that recently lost their son in action. It was winding down to the end of the set, and it was time for the massive hits to be performed. Bonsall revealed that it has been 30 plus years since these songs have come out. They began with “Elvira” and played it to perfection. Sterban sang the “ba-oom papa oom papa oom papa mow mow” part perfectly. The ecstatic crowd all sang along with him. The Boys then went into “Bobbie Sue” to close the out the show. They then bowed to a standing ovation. The Boys were true professionals and provided quality entertainment. The Boys always put on a first class show, and the fans will be flocking back next year when the Boys come back to town.